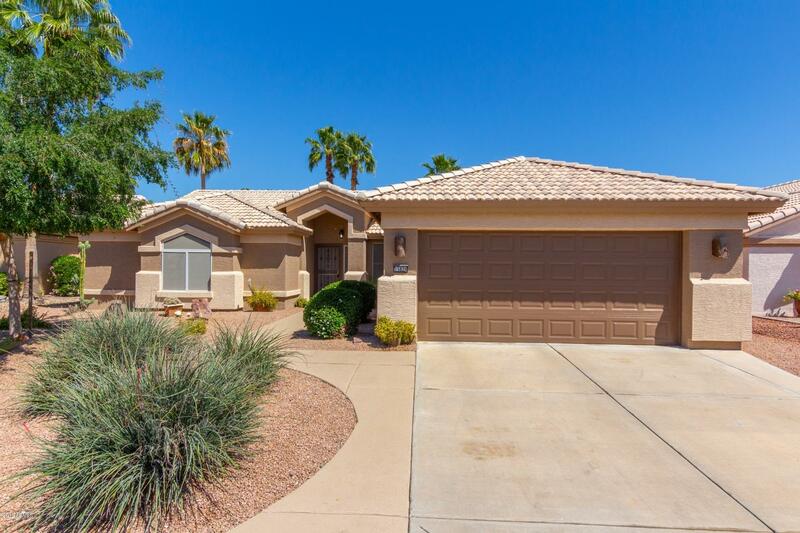 All PEBBLECREEK UNIT SIX homes currently listed for sale in Goodyear as of 04/26/2019 are shown below. You can change the search criteria at any time by pressing the 'Change Search' button below. "OWNED SOLAR - APS AVG. = $38/MONTH. Completely Remodeled in 2016! Open & airy. Kitchen has been remodeled w/Updated Cabinets, New Granite C-Tops, Bksplash, New SS Appliances, New Graphite Sink & New Faucet! The open concept flows effortlessly out to the cov'rd bk patio, overlooking the low maintenance, oversized size backyard! Large M/Bdrms w/a walkin closets & private on-suite M/Baths Remodeled w/updated cabinets, double copper sinks, new granite top, new faucets, new tiled shower/shower valve "
"With an open, flowing concept, this plush Pebblecreek home is an entertainer's dream. Energy efficient with prepaid Solar! Enjoy a beautifully appointed central Kitchen with rich granite counters, pull out shelves, & many refreshed cabinets for storage. Sleek black appliances, including gas range. Formal dining with custom niche wall, Kitchen eating area & breakfast bar. 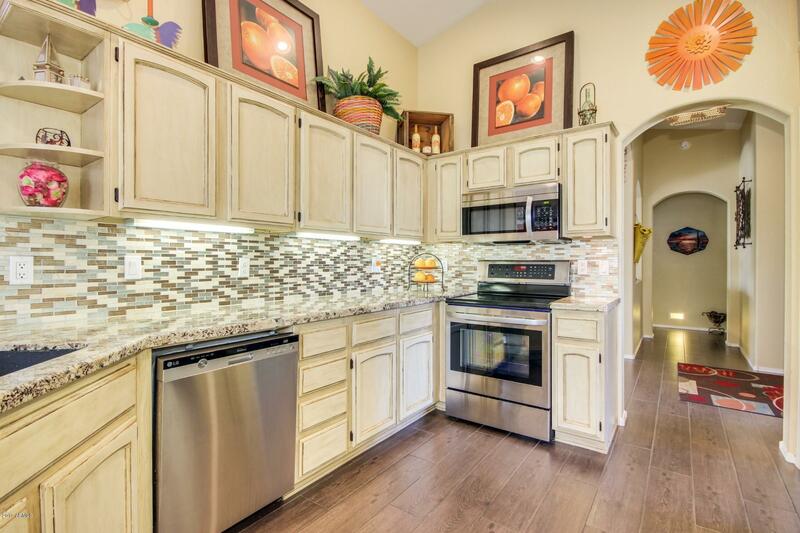 Tile, laminate wood flooring & wood shutters throughout. 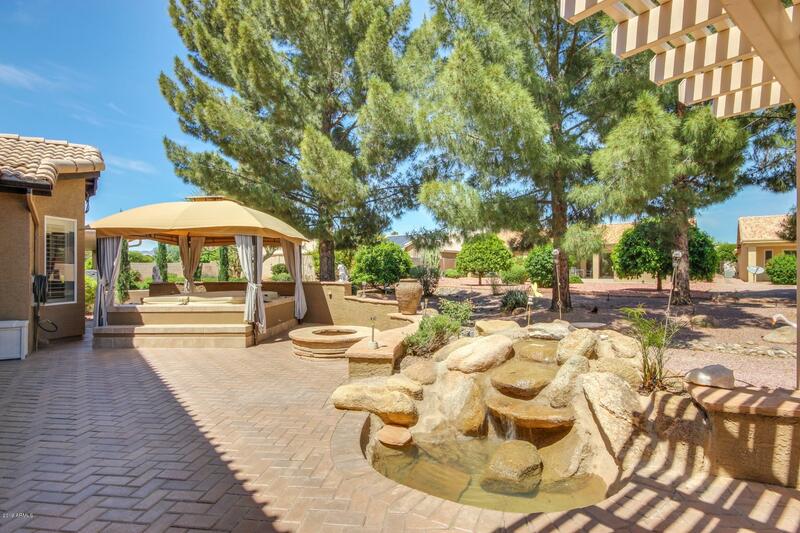 Cheery Master has private bath with roomy walk in shower with tile su"
"Gorgeous complete remodel from top to bottom on Topaz model on cul-des-ac lot. Fresh paint inside and out brand new white shaker cabinetry and black granite counters throughout. New wood look laminate flooring throughout with upgraded base boards. New Master bathroom. New Lennox HVAC system installed in May of 2018. Water heater installed in 2014. Brand new stainless steel GE appliances. Patio resurfaced in brand new cool decking. This beautiful home has been redone from top to bottom m"